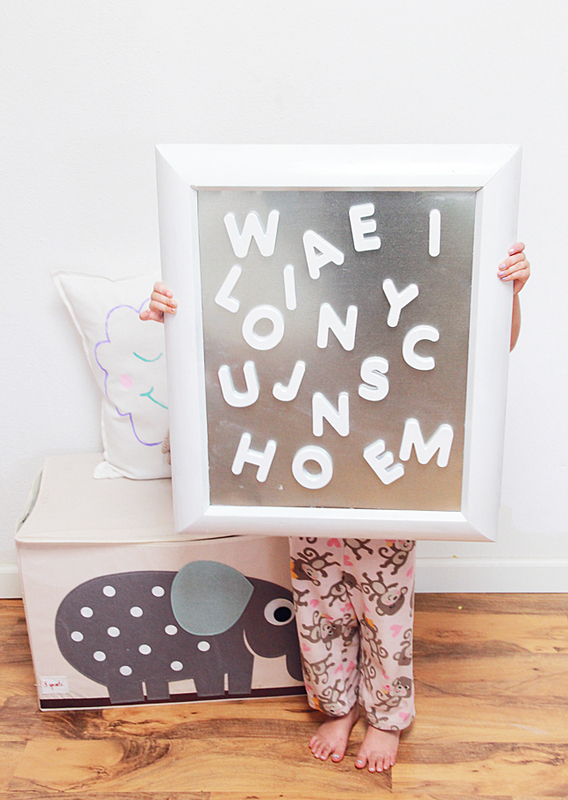 If you have kids, you more than likely have a refrigerator filled with a large amount of magnetic alphabet letters and drawings. 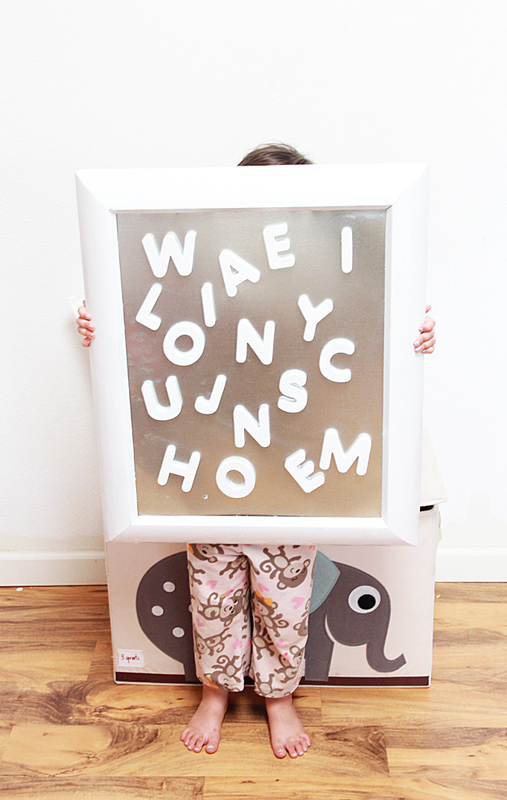 Our refrigerator was beginning to look a bit ridiculous, so I came up with a DIY magnetic frame to remove the magnetic mess from our fridge, and it works out even better for the kids! A win-win! Empty frame (glass removed) *The thrift store is a great place to pick these up! 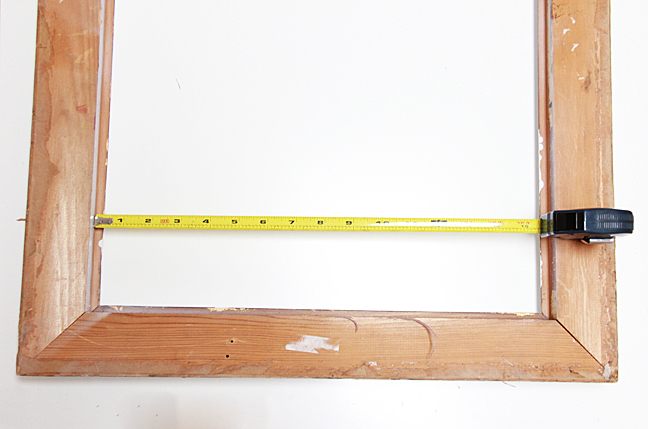 Step 1: Measure the inside of your frame. 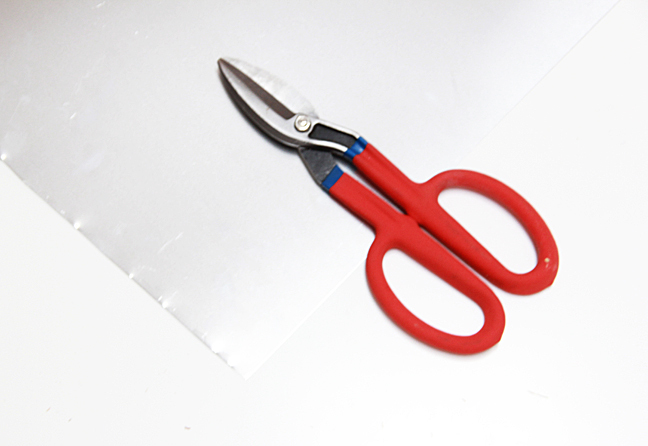 Step 2: Cut your metal sheet down to size. 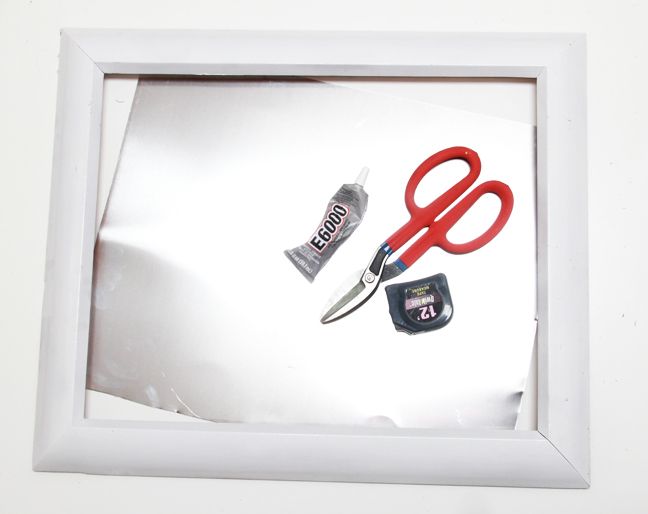 Step 3: Glue the inside of the frame. 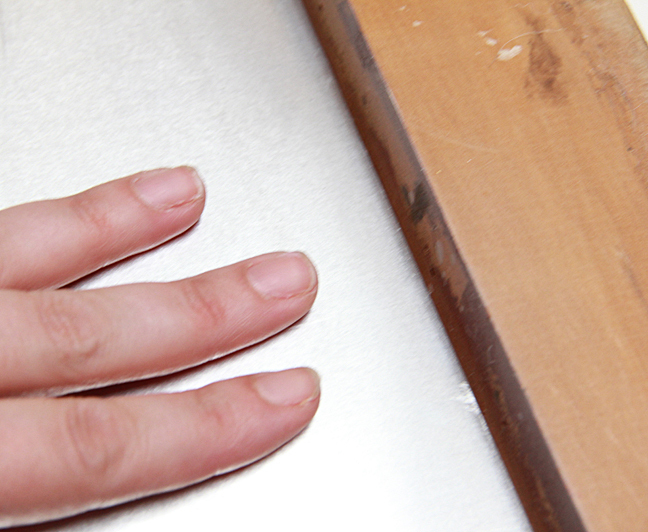 Step 4: Add metal sheet, pressing firmly down to attach. 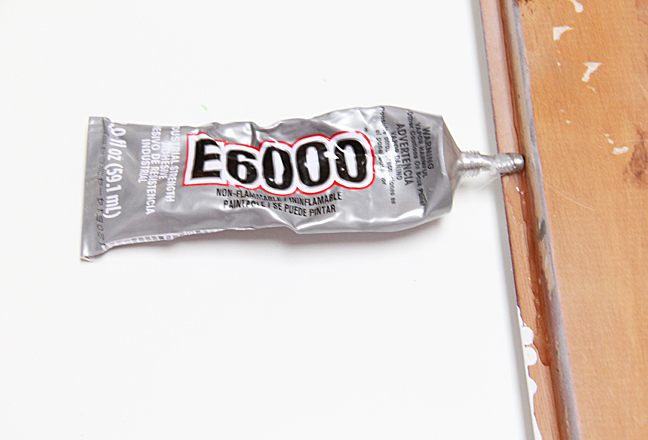 Lay books on top or other heavy material to seal the glue. Step 5: Let dry and hang! No more crazy looking refrigerators! Optional: You can paint the sheet metal whatever color you like; I kept mine the same color because it matches our kitchen’s stainless steel appliances. My four year old insisted on holding it for some shots, but at our house, the frame hangs on our kitchen island and the kids can now reach all the magnets themselves because it is on their level! 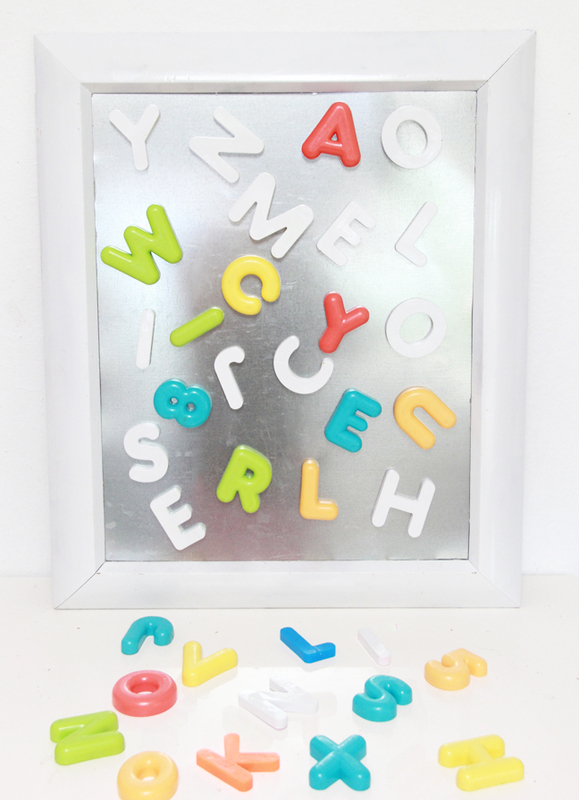 They play with the alphabet magnets so much more!